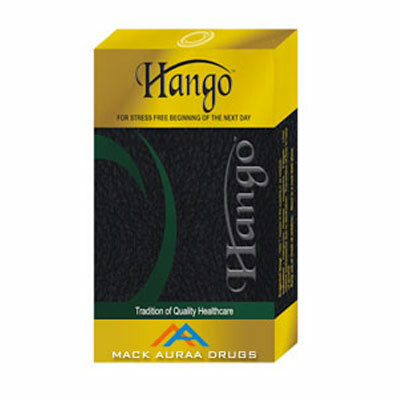 HANGO is a unique herbal formulation that prevents hangovers and protects the liver. HANGO is a clinically proven natural extract formula that actually provides drinkers a better morning after. When alcohol is consumed, the liver breaks it down primarily into a toxic substance called acetaldehyde. The build up of acetaldehyde in the liver results in hangover symptoms such as headache, nausea, irritability and fatigue. HANGO protects the liver and prevents alcohol related hangovers by speeding up the elimination of acetaldehyde. Liver related performance due to alcoholism. Prevention of liver in case of alcohol.